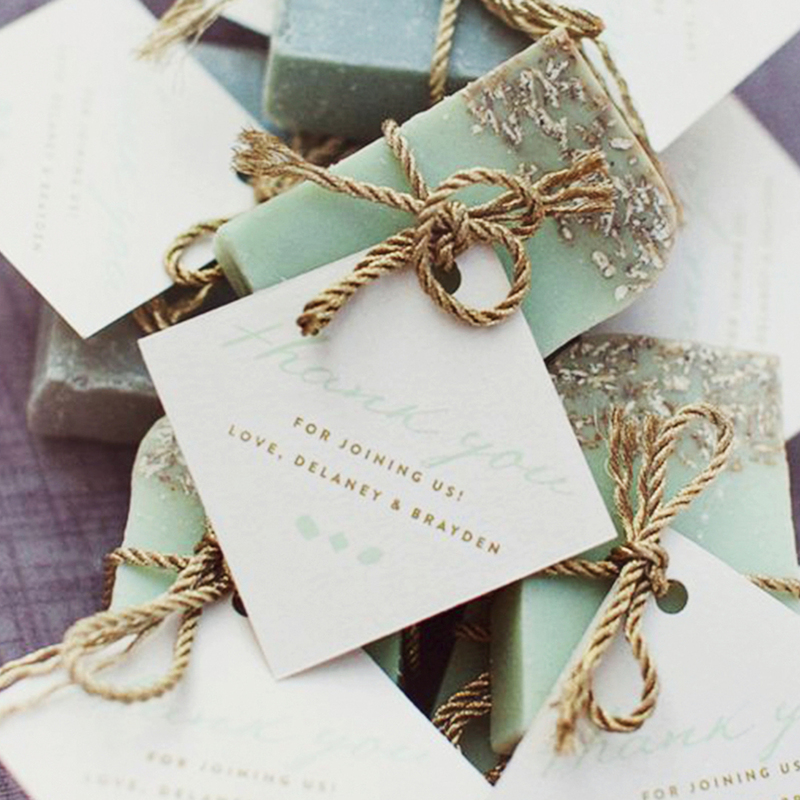 Send your guests off with the perfect memento of your day with one of our amazing wedding favour ideas. Let us know which one is your favourite. 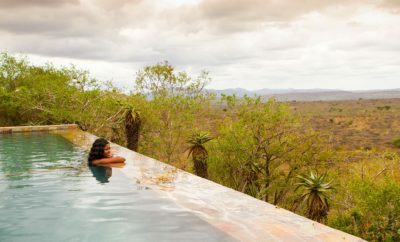 It’s something that is really special and super luxurious when it’s handmade.. And, bonus, making bars of soap is really affordable too! You can make it with the ingredients and fragrances you like. Find a recipe online, then get cracking choosing all your favourite herbs, essential oils and natural colourants (cocoa powder, turmeric, powdered chlorophyll, beetroot). In the months leading up to the wedding, dedicate your weekends to thrift-shopping for vintage cup and saucer sets at second-hand stores and flea markets – the more mismatched, the better! 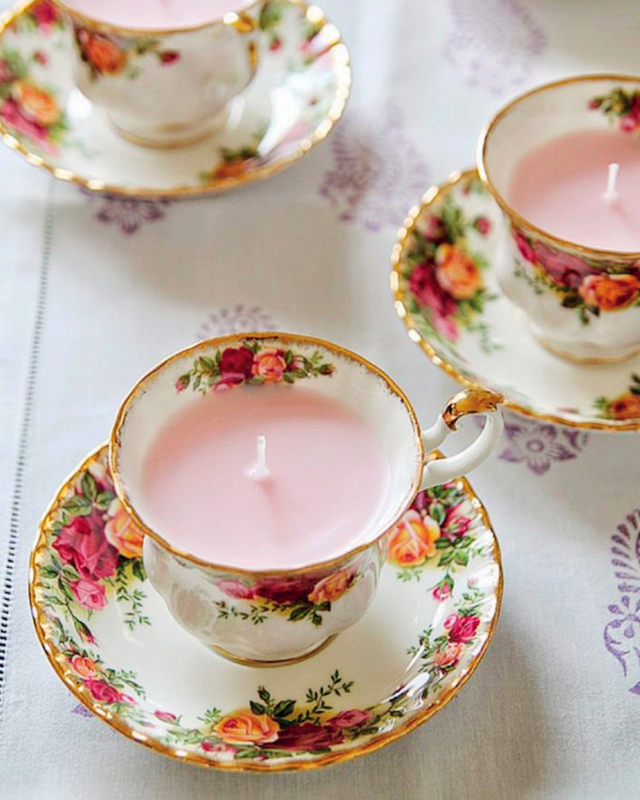 Add wax and wicks to turn them into candle holders. 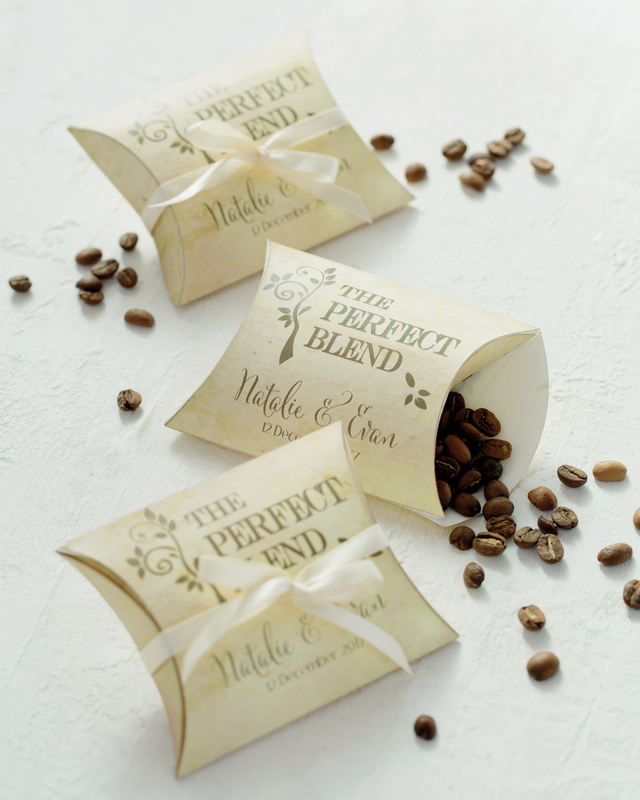 If you’d like to share your love for a good cuppa with your guests, make sachets of delicious-smelling coffee beans or tea leaves. Buy your favourite in bulk straight from a local producer. 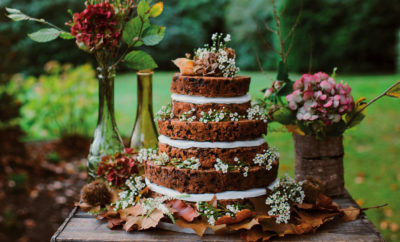 Selected tea shops offer customised tea mixing where you can concoct your own special wedding blend – proudly local flavours such as rooibos and buchu will go down a treat. 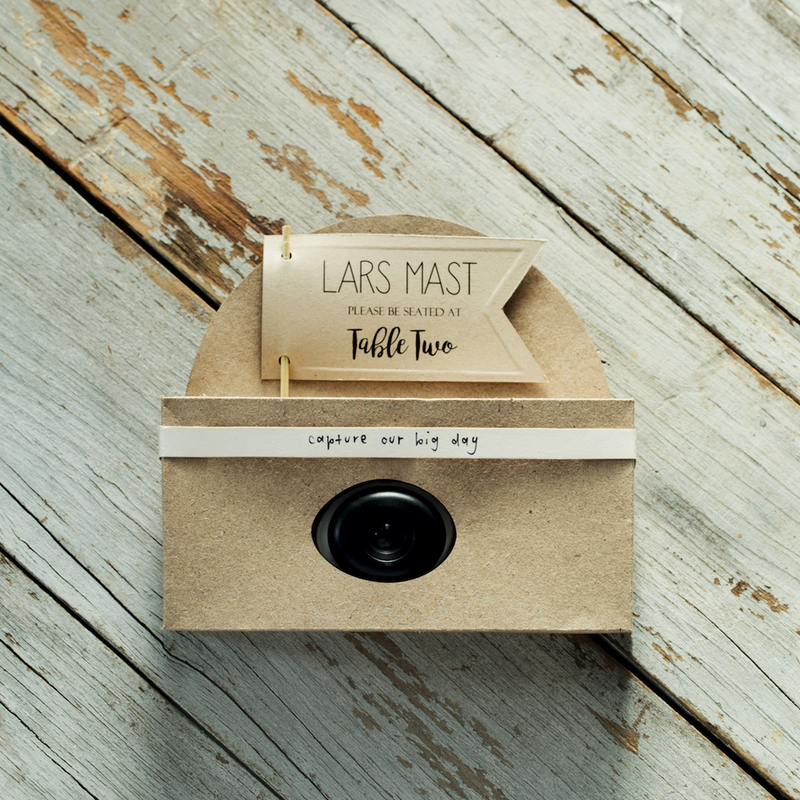 Pop the goods inside cardboard or Perspex sachets and secure with ribbon or twine. A great way to ensure you get those priceless, in-the-moment candid shots is to place disposable cameras on the tables. After the wedding, get the photos developed and upload them to social media for your family and friends to tag themselves. We love this idea! And boy, it’s so easy. Find a sizable log in your garden and cut it into discs. Sand the surfaces until they are nice and smooth. 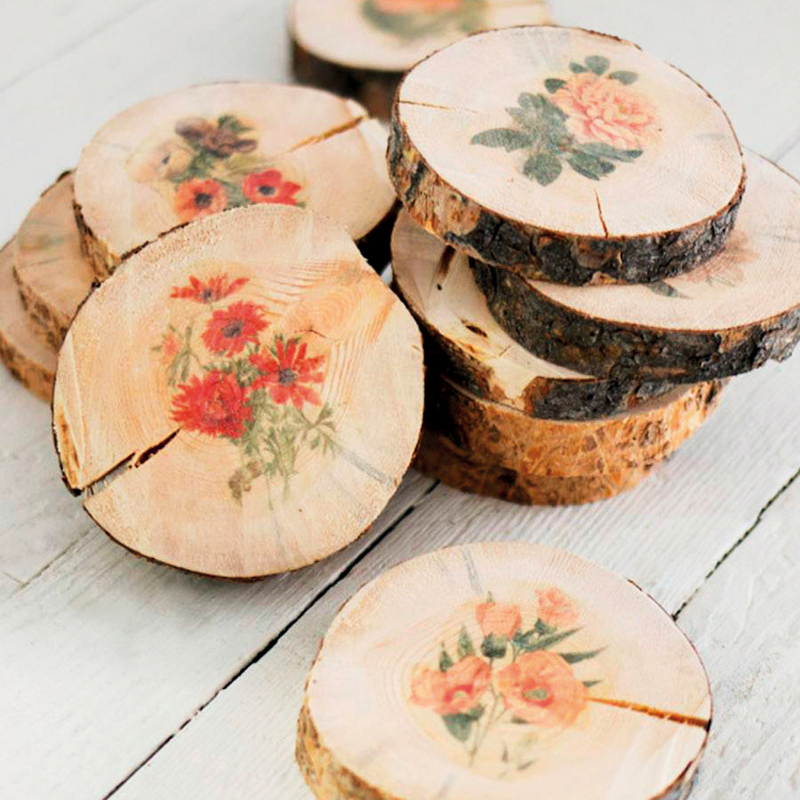 Find a stamp or stencil you love, and press the design on to the wood with ink. Cover in clear varnish and voila! 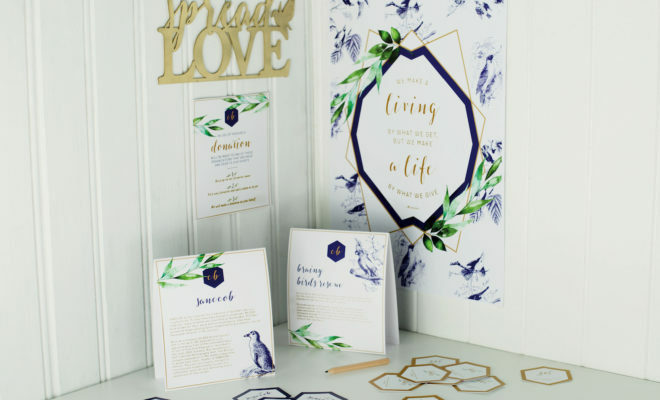 These days, more and more couples are asking their guests to donate money to their favourite charity in lieu of receiving physical wedding gifts. This feel-good factor is extending into the favours too. Instead of forking out money and sending your guests off with something small, you give them a few options of charities close to your heart. They fill out the cards and leave them in a box. Then, after the wedding, you send small donations off to the charities. Vinyl decals are a fun, modern and temporary way of sprucing up bare walls, and they are relatively cheap to produce. Minimalist line designs (such as origami shapes) are great as they don’t require excessive colour and will complement most spaces. Choose a reference image and get a printing company to replicate your design and turn it into stickers your guests can put up in their house. Little bundles of seeds? How cute! Buy some plantable kitchen herb staples such as parsley, thyme or coriander, and fill little pieces of fabric with the seeds. 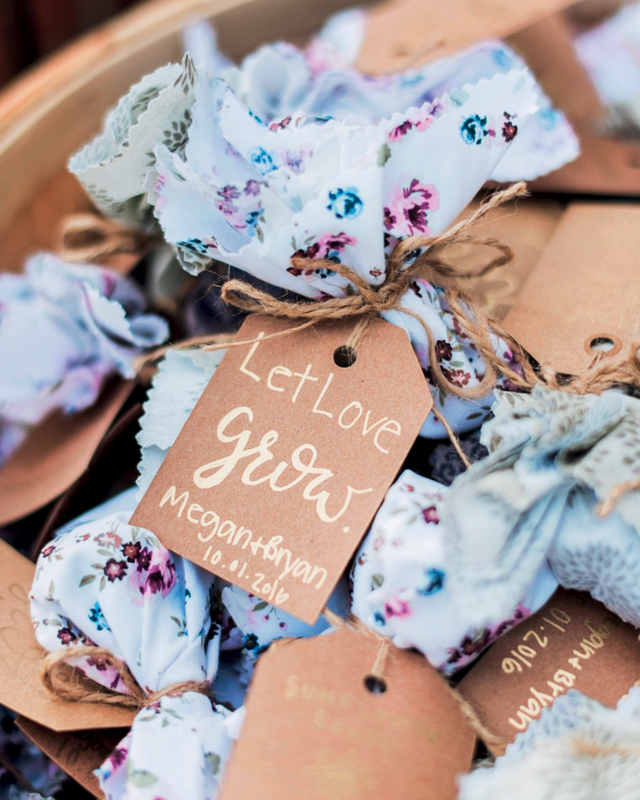 Add a cute saying (we like ‘Let love grow’) and instructions. 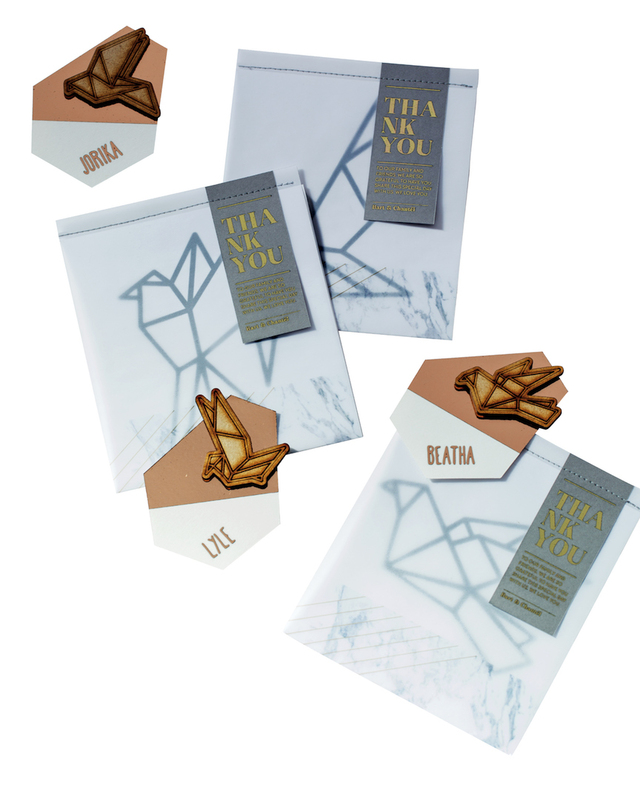 Or print thank-you notes on organic, plantable paper. It’s a gift and a thank you, all in one! 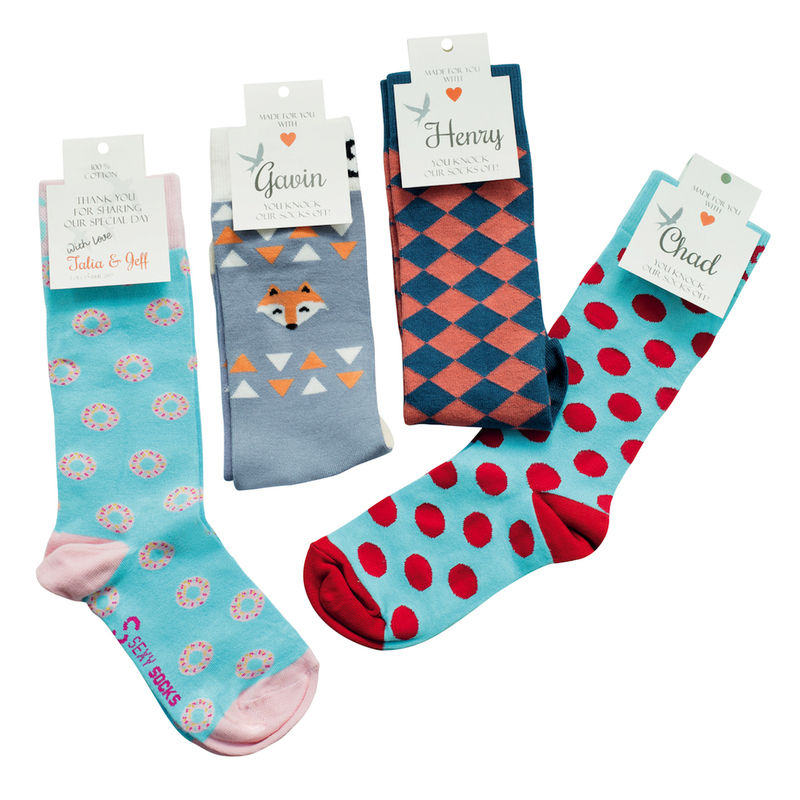 Shake things up with an incredibly useful but overlooked wedding favour: socks! Colourful printed socks are all the rage. 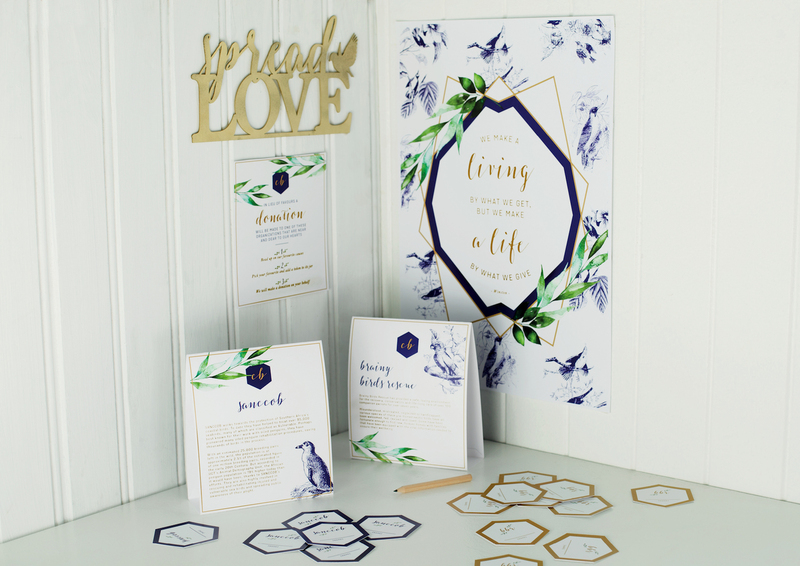 Choose from a variety of eye-catching graphic prints such as foxes, doughnuts or polka dots, or go for something to match your wedding theme.